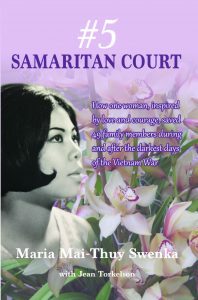 This moving and powerful biography is a collaboration between Maria Mai-Thuy Swenka and Mark Graham Communications. Most of us have thought: There is a book inside me. This isn’t a random thought. It’s true. There is a message we all want to share or a story that keeps us up at night. There is a business concept that you’ve used to drive your success or a way of looking at the world that makes you unique. These are the seeds of an idea that everyone should plant and nurture, because at the end of the day, a book is part of your legacy, something only you can create. But only if you actually do it. It could be that you don’t know where to start or that the fear is just too paralyzing. You don’t want to be part of that overwhelming majority of people who have the dream but don’t pursue it. It is do-able. Let’s talk about how. There are two directions. One, you jump into the writing head first. Two, you collaborate with a ghostwriter who helps bring your dream to life. Either approach is completely viable, but let’s talk about the first of these. First, decide what kind of book you want to write. Is it a novel? Is it non-fiction? If it’s a novel, what kind? Mainstream, mystery, romance. If it’s non-fiction, what kind? Business book, book of inspiration, biography. You get the idea. Know where you’re headed and commit. Second, don’t think about writing 300 pages. Start small. What are your main ideas? What is your premise? If it’s a business book, what is the message you’d like to deliver? If it’s a novel, what is the storyline? Who are the characters? If it’s a memoir, what stories from your life do you absolutely want the reader to enjoy? Start with talking points. The talking points will become an outline; this works for any kind of book. Yes, the outline may change, but now you’re ready for the next step. Third, set a writing schedule and make it doable. One page a day is a nice starting point. If you get that one page done, then you’ve hit your mark and you’ll feel good about it. If you write two, then you have something to celebrate. Most author’s set daily goals for themselves. You should to. Four, don’t get bogged down. Writing is hard work, but it is also enjoyable. Writing is a process, but expressing yourself is an unforgettable journey. Seeing your book come together one page at a time, one day at a time, is a seriously fulfilling thing. Five, every writer starts out thinking they aren’t really a writer until they realize they are. This entry was posted in Ghost Writing, Writing Advice and tagged ghostwriter, ghostwriting, writing tips. Bookmark the permalink.